Hi all! If you saw my post last week, you know we’re already thinking about Valentine’s Day around here. 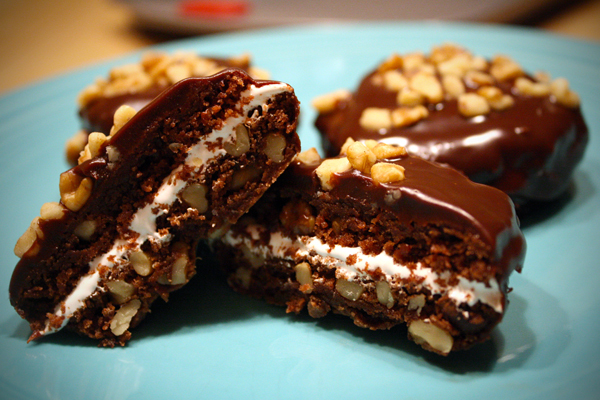 This week’s recipe is another great sweet treat perfect for February 14 – and beyond. 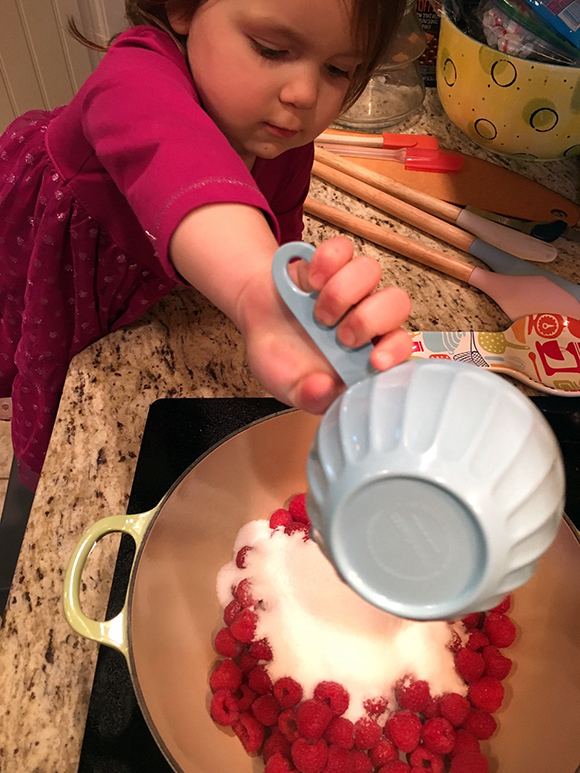 I’ve got to give credit for the idea to Brian – when I was brainstorming for this week’s post, he immediately thought raspberry sorbet would be perfect. I decided to add lime in to the mix because I think the two flavors are great together. 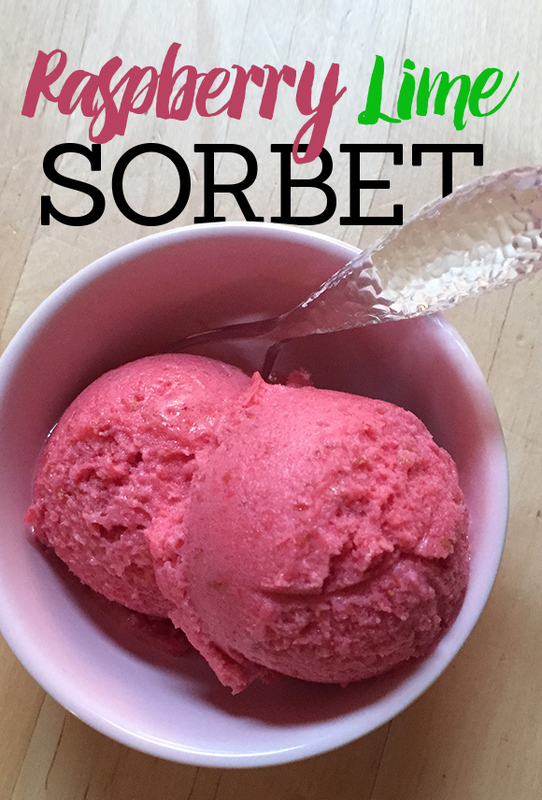 And this raspberry lime sorbet just has four ingredients! 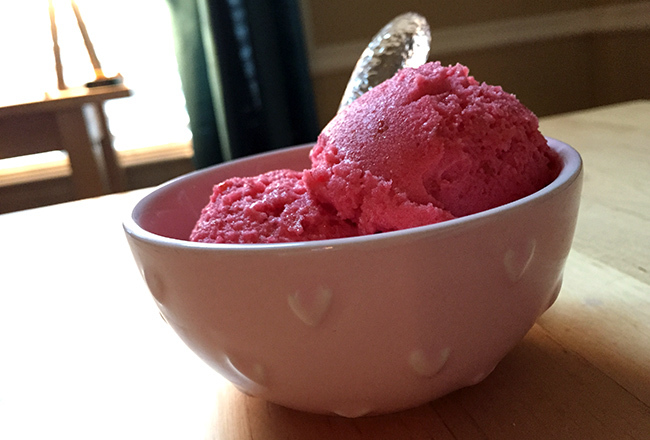 Sorbet is a perfect dessert to pair with a Valentine’s Day meal, which can often be heavy. It’s light and bright, and this combination of raspberry and lime is sure to wake up your taste buds! Get out a large pot, and add your raspberries. 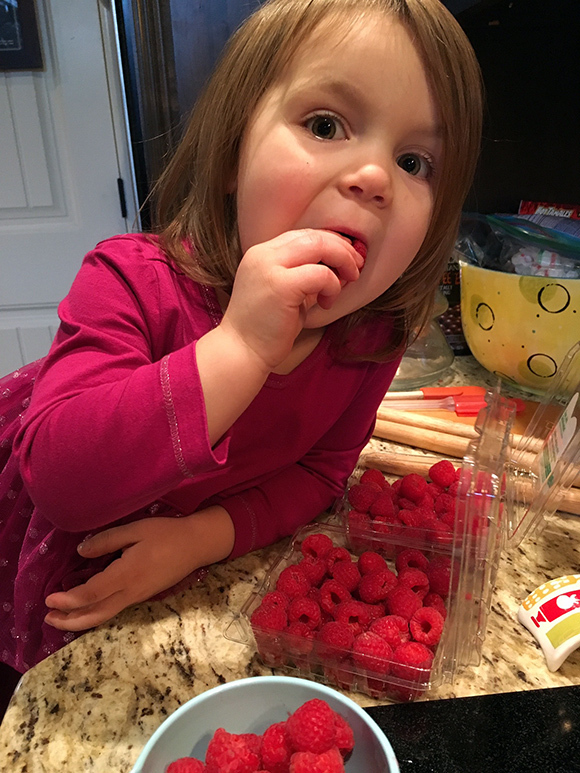 Be sure you buy more than 4 cups if your little helper plans to eat a few a ton. Add the sugar, water, and lime juice, then stir. 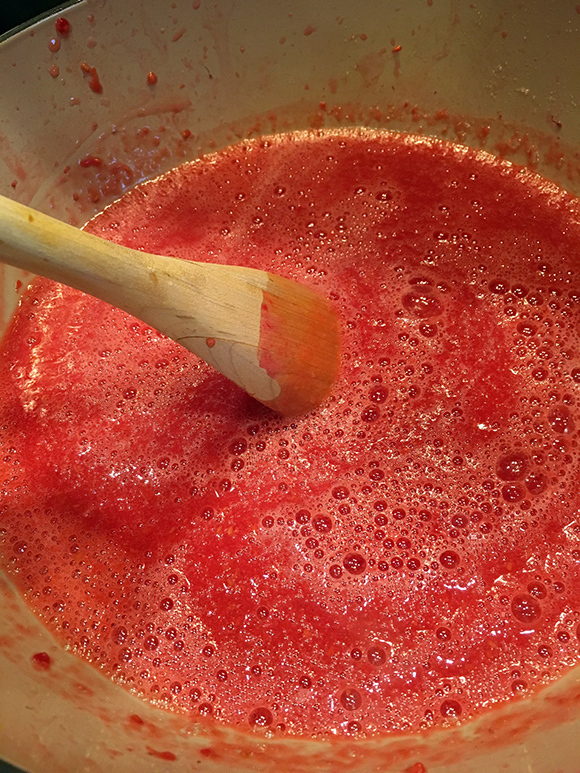 Cook over medium heat for about 10 minutes until the sugar is dissolved and the raspberries have softened a bit. 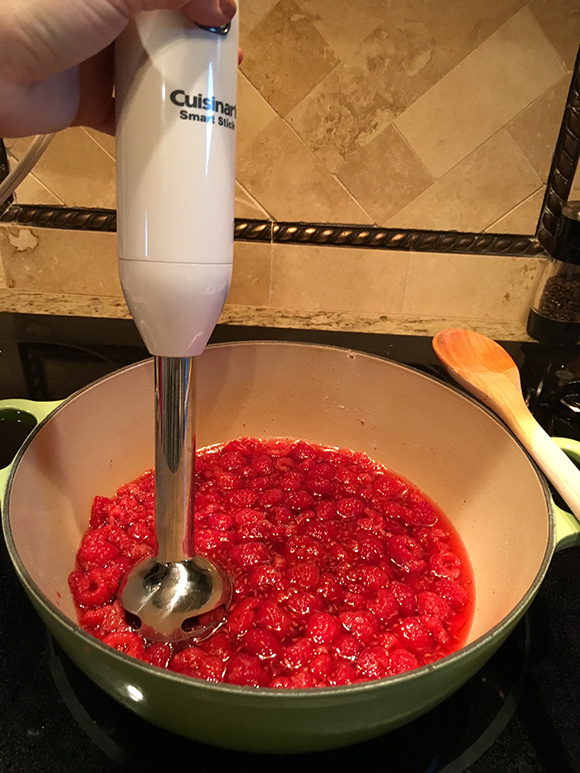 Use your immersion blender to mix everything up until it’s a smooth liquid. If you don’t like seeds, you’ll want to run this mixture through a fine strainer, but we don’t mind them at all, so we keep them in. 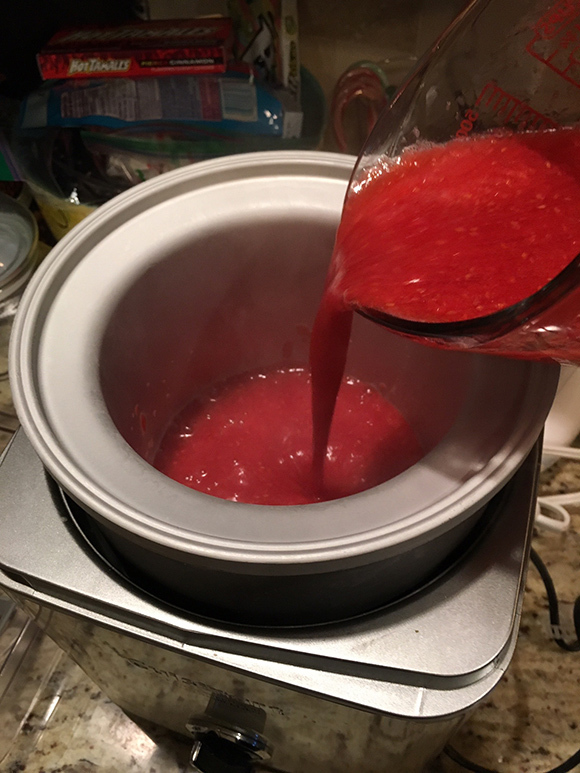 Once the mixture has cooled for about 10 minutes, pour it into your ice cream maker and let it run for about 45 minutes. 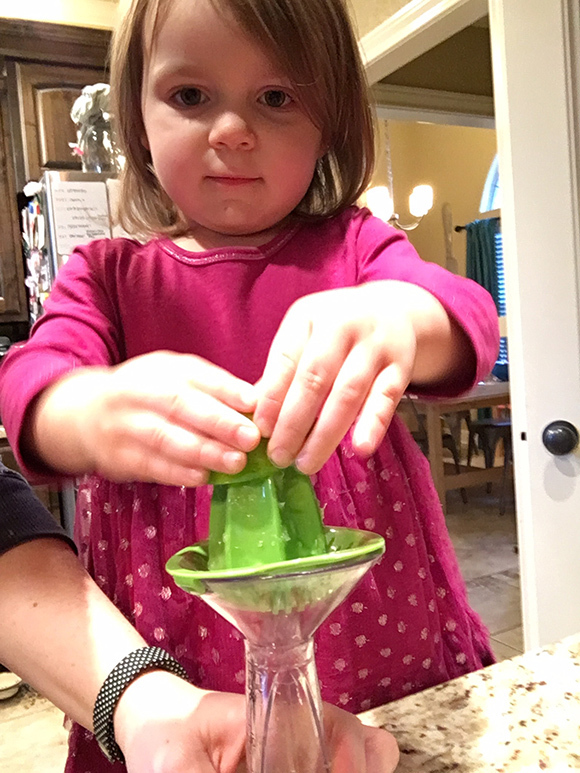 Let the sorbet set up in the freezer for 3 hours or overnight, then serve! 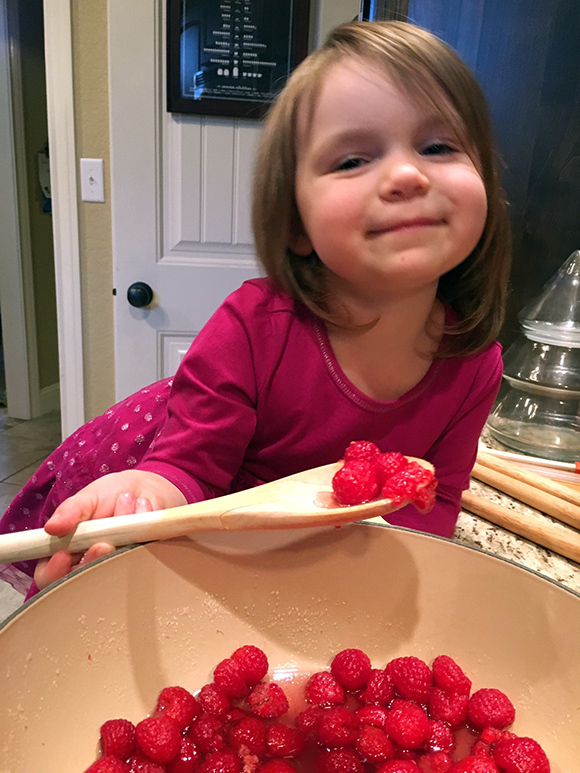 Get your raspberries ready – and while I’m thinking of it, if you’ve got a little helper like I do, you might want to get a good step stool for the kitchen. We found ours at IKEA, but there are some on Amazon too that are nice. 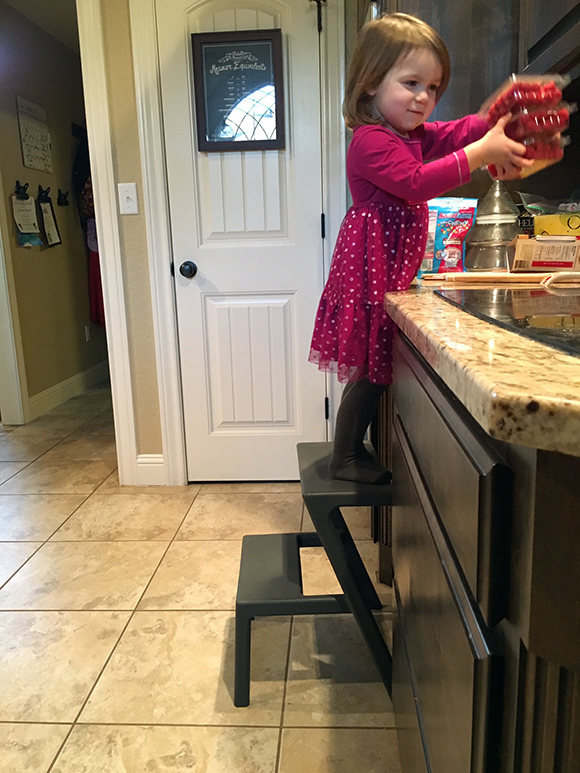 E loves being up at counter height to help out! 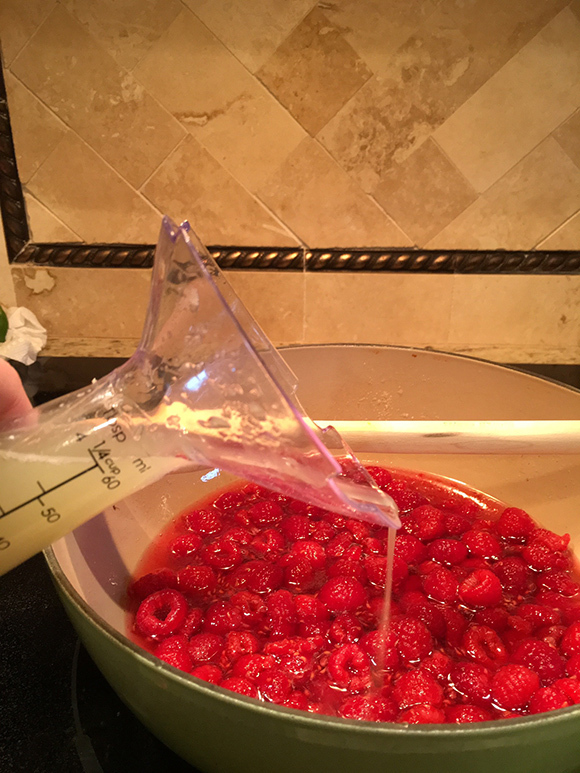 Put the raspberries in your pot (heat off for safety) and watch to make sure that you have enough left for the recipe! E “just wanted one” but probably ended up sneaking about 15 here and there! 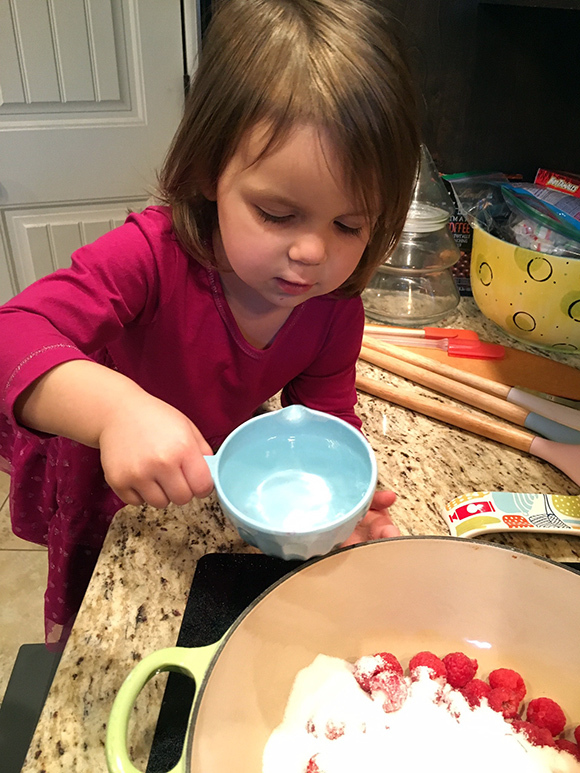 Cook over medium heat for about 10 minutes, until the sugar has dissolved and the berries are softened. 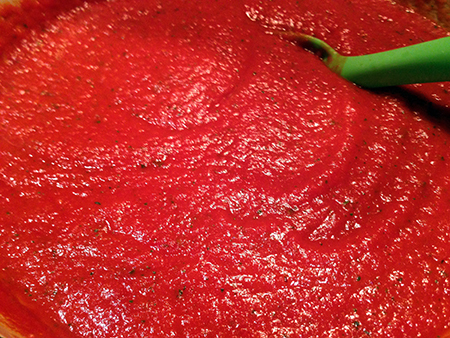 Then use your immersion blender to make a nice smooth liquid. I love our immersion blender, by the way. It’s so much easier to clean than if I’d had to pour this all in a blender to mix it up! Put your sorbet into the freezer for at least 3 hours or overnight, and then it’ll be scoopable and SO good!